I'm a great believer that the best way to grow and move ahead is to surround yourself with the smartest people that you can playing at the highest level. Last night, was one such time. 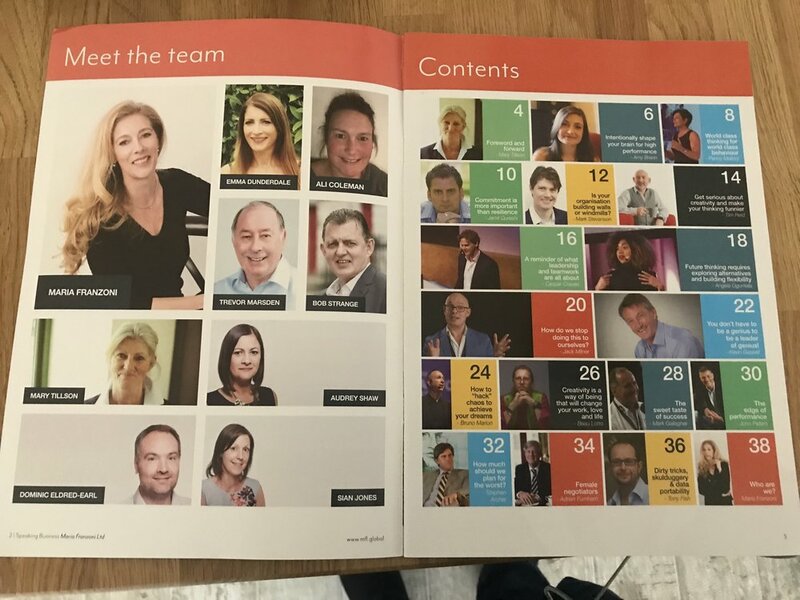 I felt very privileged to be part of a "Meet the Speaker" event run by Maria Franzoni and her brilliant team to meet both her clients and other top speakers like Mark Stevenson, Penny Mallory Jamil Qureshi , Kevin Gaskell, Amy Brann and Beau Lotto. I can't think of many better ways to spend your time than to be talking and sharing stories with so many interesting and inspiring people. And to be part of this cracking magazine with stories and insights. Maria and I recently recorded a podcast. You can listen to this here. And for speaker bookings, you can go here.